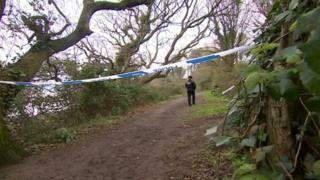 A human skull found on the coast near Bristol earlier this year is probably "hundreds of years old", police have said. It was found by a member of the public at Redcliff Bay in Portishead in March. Avon and Somerset Police said forensic examinations of the remains had "revealed that they are most likely to be several hundred years old". "Therefore there will be no further police investigation regarding this matter." At the time the skull was found there was speculation locally that it could have belonged to a pilot who crashed a plane in Redcliff Bay in 1938. However, local historian Sandy Tebbutt said it was "more likely" it had belonged to a sailor, as the bodies of mariners had washed up in the area over the years.